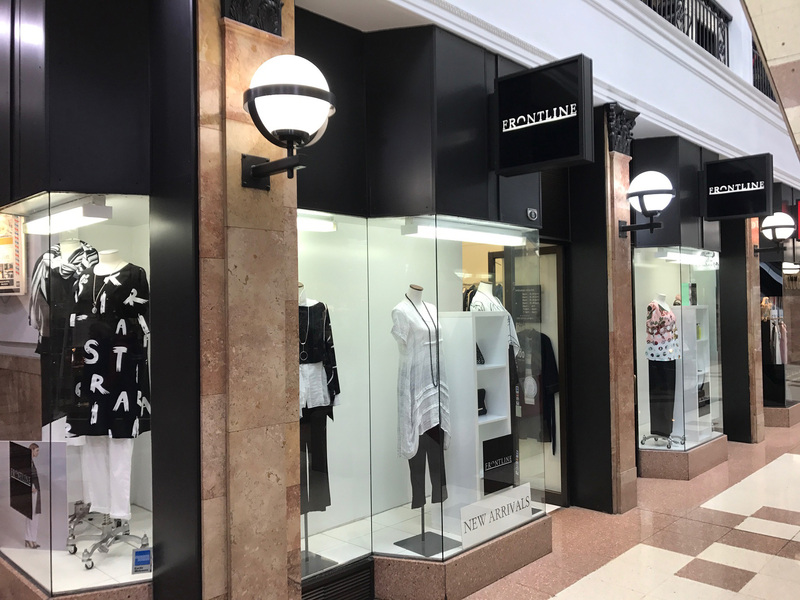 Established in 1987, Frontline Designer Clothes and Accessories offers you the latest in fashion from predominately NZ made designers, as well as those from Australia. With over 28 years experience in retailing the Frontline team are dedicated to delivering quality to our customers. If an item from one of our designer labels is not available in the shop, we will do all we can to source it for you! Frontline welcomes your telephone orders. Local deliveries take between 1 – 2 days while deliveries out of town can take up to 3 days. Gift vouchers can be made out to any amount desired, at any time of the year. These make ideal gifts for any friend or family member. We accept American Express, Diners, Visa, Mastercard and Eftpos. This is our way of rewarding our valued loyal clients each season. Each purchase made during the season is recorded, when your card totals $1000 in full priced merchandise you will then receive a $75 voucher to use toward your next purchase (please note: this does not apply to laybys, sale goods or special orders).